To be competitive in local, national and international markets, companies demand products that give better productivity. 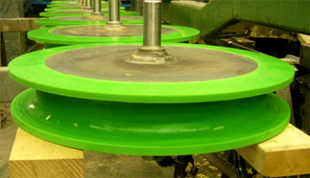 Polyurethane contributes to that goal and helps spur the technological growth of most industries. 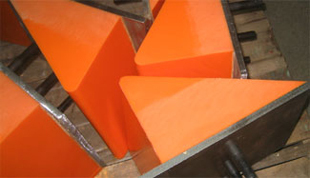 The properties of polyurethane are such that it can be a component of alloys with stiffness rivaling that of steel, the versatility of plastic or the elasticity of rubber. 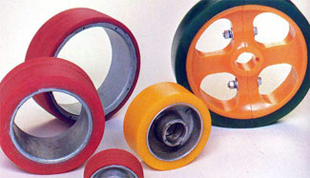 Chemically, polyurethane is a polymer and performance-wise is an elastomer. It can be as flexible as rubber or stiff as plastic. 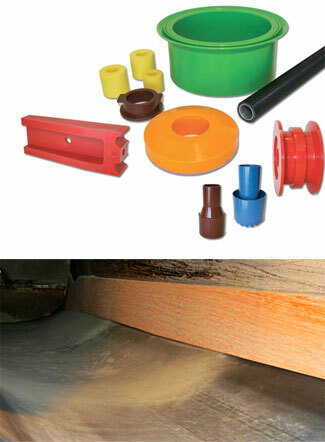 Rematech has the technical expertise to determine the exact polyurethane formulation for your usage requirements. 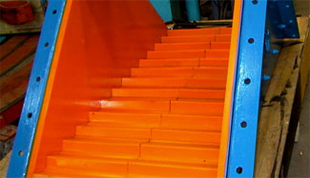 Rematech guarantees that its products give consistent results. 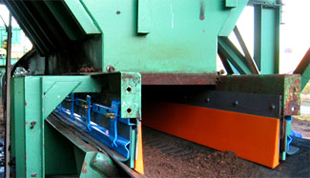 The performance of our Remtan linings and parts is optimal and consistent thanks to the quality of our raw material, our expertise and our quality control. 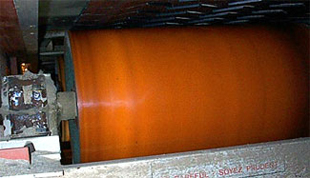 Our complete array of resins means we can provide parts whose Remtan formulation matches your operating conditions perfectly. 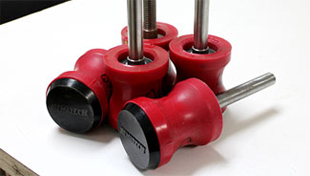 Rematech’s production staff works on specifications, meeting the required standards of accuracy and quality. 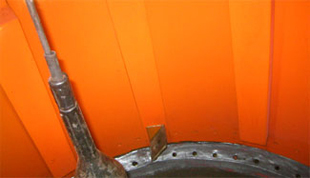 Whether for a batch run or a single unit, our specialized team will meet your requirements. Rematech ensures that its solutions will succeed. Your usage history combined with our expertise means the Remtan formulation used is constantly improved, thereby providing you with higher-performance parts.